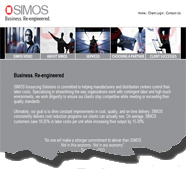 Following are a few projects our team has been involved in to give you an idea of our capability. If you would like specific details of our involvement in a particular project, contact us. This project included the redesign of the graphical web site, customization of database driven files and migration of the web site. 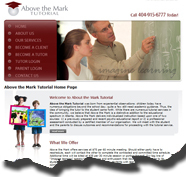 We developed the graphical design for this site and built the back-end interface for maintaining tutors and student clients. Tutors and clients can both log in and update information, check work hours/logs and more. Admin staff manages the site from a custom Maintenance panel where they can add, edit, and delete tutors and student clients, run payroll sheets, edit/view work logs, manage and update the textual components of the web site. We worked with the Archie Bray to automate their secure donation scripts allowing viewers to make real time credit card donations. 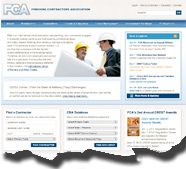 This site uses our EZ Web technology for easy day-to-day updates. 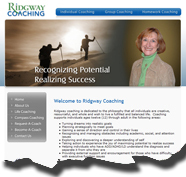 The web site was redesigned, migrated to EZ Web and client was trained on site maintenance. 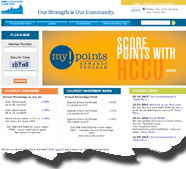 This site features secure on-line credit card purchasing, email newsletter management. 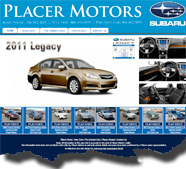 We build the graphical design and set up all databases, SSL shopping cart and newsletter options. 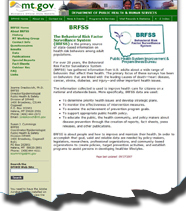 This site uses a back-end database to manage and disseminate BRFSS and CDC statistical data. 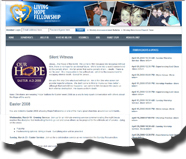 This web site was given a graphical makeover and a variety of CSS and basic content updates made to it. 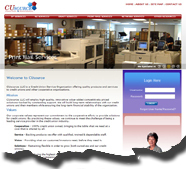 This site uses our EZ Web technology for easy day-to-day updates. 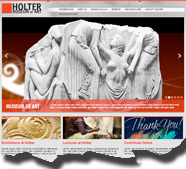 The web site was redesigned, migrated to EZ Web CMS. 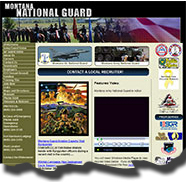 Integrated into the site is a secure console for staff. Client was trained on site maintenance and handles day-to-day maintenance. 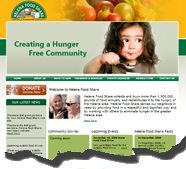 Integrated a real time ecommerce donation system into a custom web site designed for Helena Food Share. 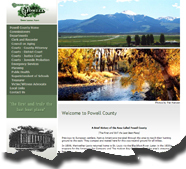 This site uses our EZ Web technology for easy day-to-day updates. The donation system allows them to collect credit card donations in real time. 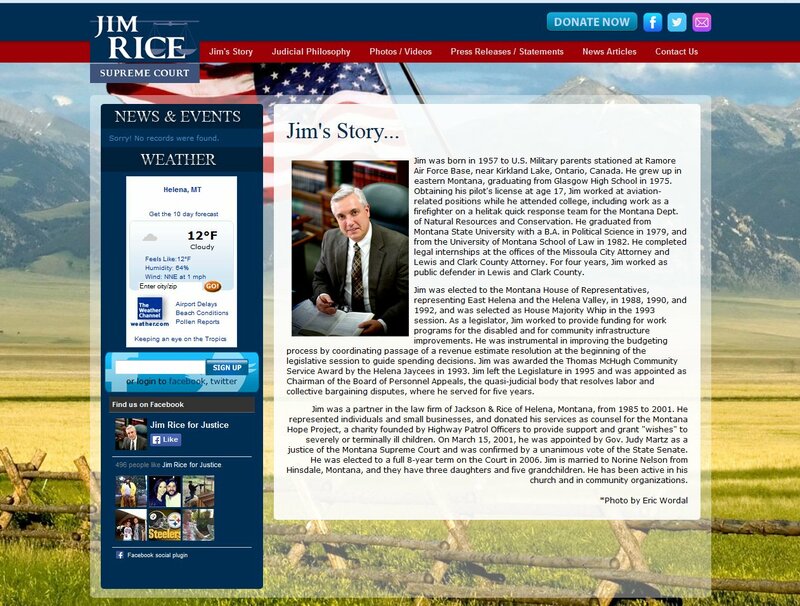 This project included the setup for a political campaign web site for Jim Rice. 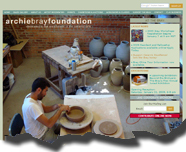 This is a static site built with Photoshop and Dreamweaver. We do on-going site maintenance as it is needed. 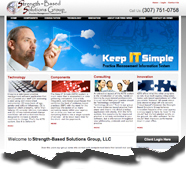 This site allows the client to make day-to-day changes. In includes a password protected admin console. 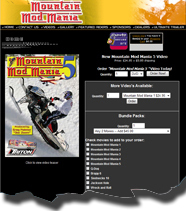 This site utilizes the JANDA content mangement system for daily web site updates. 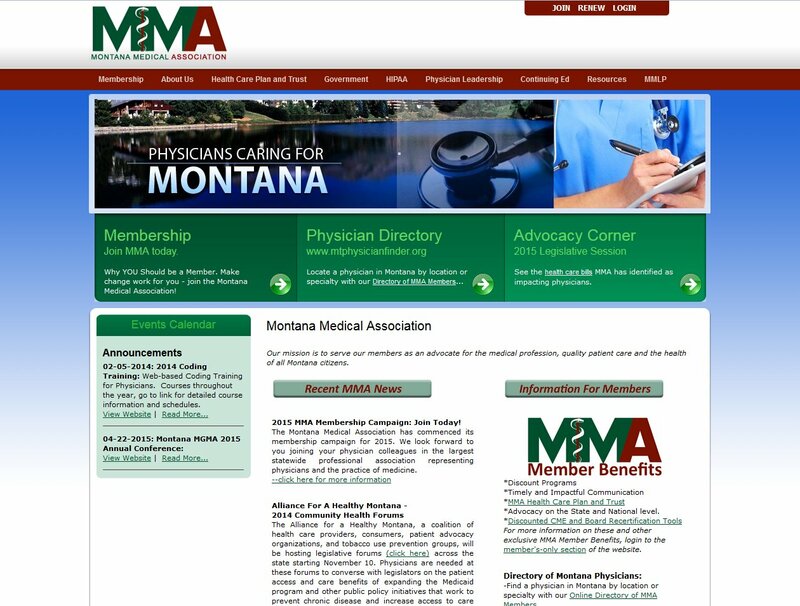 It features custom membership portals, dynamic calendar of events, and many other dynamic features. 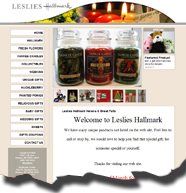 This site included a graphical design, a database driven product display/tour. Client utilizes a combination of Adobe Contribute and password protected admin console for making day-to-day web site updates. 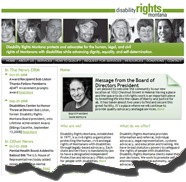 This project consisted of creating a custom advocacy articles database to allow client to add/edit/delete articles into an online articles database. Articles are categorized according to multiple security rights levels based upon membership security rights. 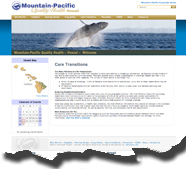 This project included the redesign of the graphical web site, customization of database driven files, the creation of a members only portal, and the set up of online real-time credit card transactions for membership renewals. 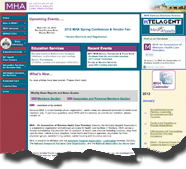 This project consisted of in external internet web site and an internal intranet. 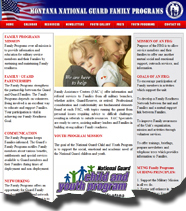 We built the web sites and trained client staff on daily maintenance. This site included a new graphical design, migration of the old site to the new design and set up of payment processing via PayPal. 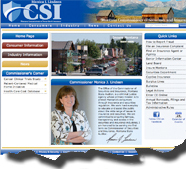 This site included the development of a new web site design and custom CSS development. 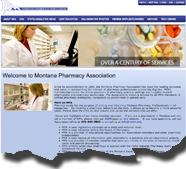 This site design was based upon the overall State of Montana template. The project included the development of a series of Dreamweaver templates and the conversion of all old site web pages to the new template. We created the web site design and enginered the secure credit card solution for this site utilizing a Perl shopping cart pocessing orders through Authorize.Net. 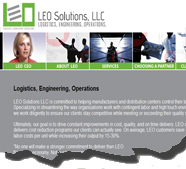 This site uses our EZ Web technology for easy day-to-day updates. 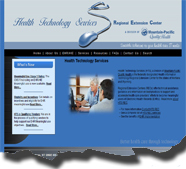 The web site was redesigned, migrated to EZ Web and client was trained on site maintenance. In incorporates 4 individual state sub-sites - all managed from a single content management system admin console. 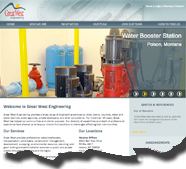 This project was to convert graphical designs from client to CSS/HTML which could be incorporated into a CMS. We engineered the solution for this site, creating the graphical design, password protected maintenance panel for ongoing updates, and installing software options. Client does day-to-day site maintenance and we provide Level 2 support. This site integrates an automobile database of vehicles on the web site via a custom API from MyOnlineDealer automobile database. 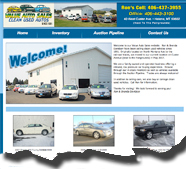 Staff/contractors add automobiles, photos and video files on a daily basis. Over 40 data elements are automatically pulled into the web site via a dynamic API. 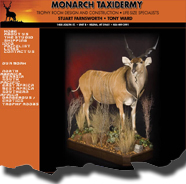 All photos, video and product details are automatically formatted and displayed based upon custom pre-set parameters. We developed the graphical design for this site, the Dreamweaver template and dynamically send leads to client via forms converted to email. 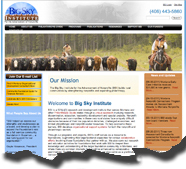 This project consisted of an overall web site re-design, integration of video into the site. The site included an in-depth admin console for managing a variety of staff tasks such as displaying staff payroll stubs, accounting records, client records - all based upon unique user id/password security settings. 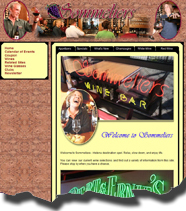 This site allows client to add/edit/delete restaurant items, including wine lists. 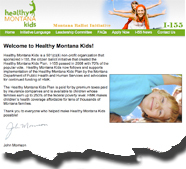 The web site design was also part of this project. 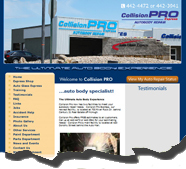 This site was developed with Dreamweaver and is edited by client using Adobe Contribute. 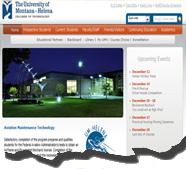 This site design was created to integrate with the University Content Management System.